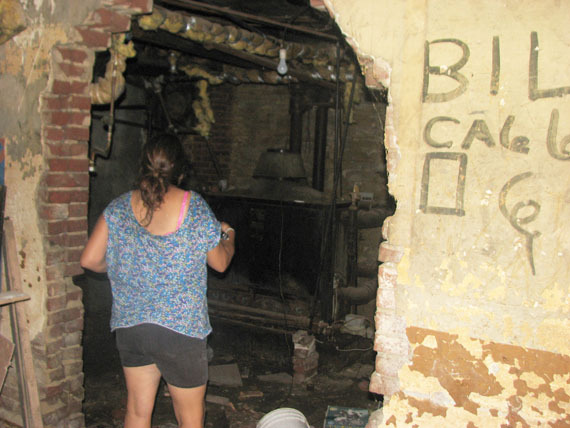 Myth or Fact: Are There Tunnels beneath the Streets of Downtown East Liverpool? Many people say that the streets beneath downtown ELO are honey-combed with tunnels that connected various buildings. Some suggest it was to move coal and product between buildings. Some even advance the idea that it was part of the underground railroad for escaped slaves. After all, prior to the Civil War, just across the river lay Virginia - a slave owning state. Another claim is that there was at one time a tunnel beneath the East 4th Street connecting the Travelers Hotel with the Ceramic Theater so that stars could pass between the two buildings without being "mobbed" by adoring fans and picture takers. We have taken upon ourselves the task of investigating these claims to determine if they are fact or fiction. Question: Are there tunnels beneath the streets? There is AT LEAST one main storm drain beneath Bradshaw Ave which large enough for a average size man to walk in standing upright. Ryan Estell, East Liverpool's Safety Service Director said that it was probably built during the WPA days of the 1930s. If one exists, there may be a few others that exist as well however this is not the type of tunnel that those who say there are tunnels beneath the streets of ELO connecting various buildings are talking about. A storm drain regardless of its size does not connect buildings. Storm drains connect to the various curb and street drains throughout the city taking water from the streets and eventually depositing it in the treatment plant or the river. 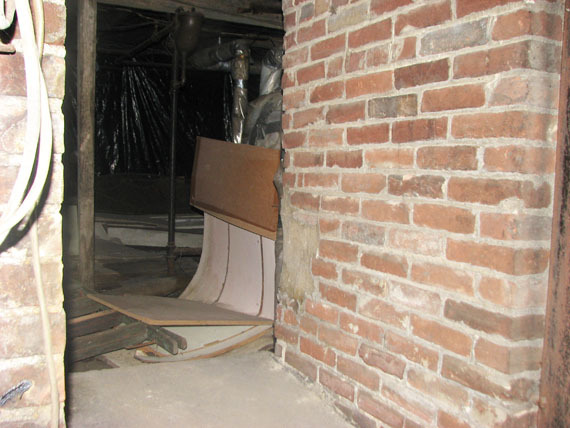 There are tunnels connecting some basements within a quarter block sections. It must be remembered that buildings were smack up against each other in quarter block sections with each quarter block created by streets and alleys. A map showing several quarter blocks. 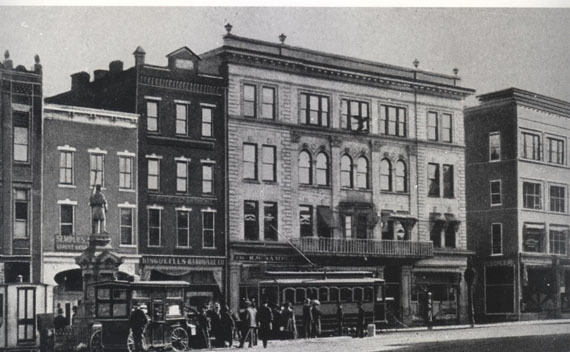 A perfect example is shown below with the Thompson building tight against the Opera House behind it and the Lowe Building tight against it to the right of it. The Lowe Building was tight against the building next to it which was tight against the next etc to E. Summit Lane and so on. In photograph form. The far left is the edge of the Thompson Building. A wider view of the same area. 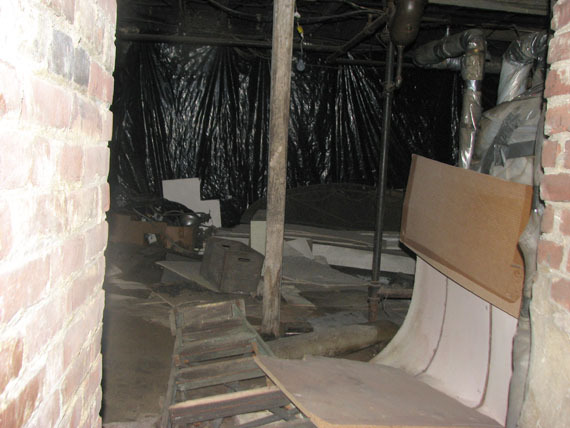 There were instances in which there were short tunnels connecting some basements in a given quarter block section. For instance there is such a tunnel between the basement of the Thompson Building and the basement of the Lowe Building. This was one of those bricked up arches found in the basement of the Thompson Building but as you can see at some point in time it had been broken open. It leads to another adjoining basement. Here os a portion of a tunnel that also leads to a adjoining basement. BTW this adjoining basement is in the Lowe Building in this case. The complete tunnel into another basement that was against the Thompson Building. This particular picture from the Jeff Langdon Collection. 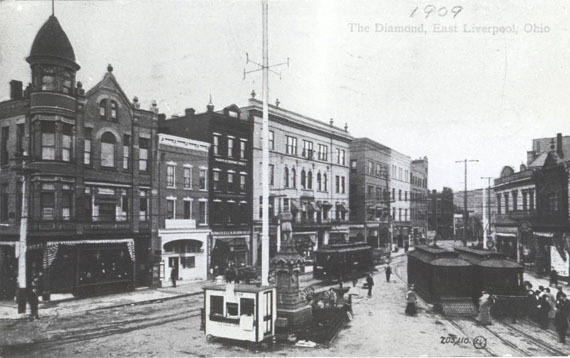 The "downtown" portion of ELO began along Second street. That was originally the center of town. Second Street, the street that was frequently flooded by the Ohio River back in the day. Second Street is just about even with the river, tunnels beneath the street would not have been practical - either they would have been filled with water from the river all the time or they would have flooded when the river came up and collapsed when the river went down. 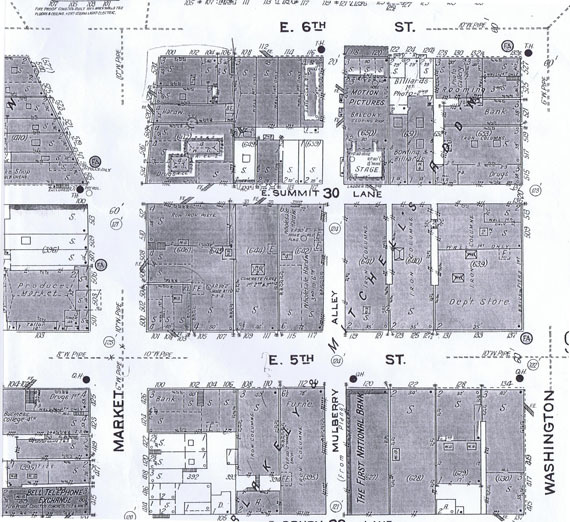 Slowly the center of the town expanded northward to 3rd - 6th streets. It was higher ground yes, but consider: in the nineteenth century, tunneling equipment wasn't nearly as good as that which exists today. Building tunnels big enough to allow for men to pull or push carts loaded with coal and various products all around under the streets of ELO would have been a huge undertaking. BTW, it would have been a criminal's dream. They could break into businesses without ever being seen by anyone since they would be breaking in from beneath - the exact manner in which some criminals have been known to favor breaking into banks and such. Keeping such a massive undertaking secret would have been totally impossible. Yet City Planning department/City Engineer head Bill Cowan states there are no maps and no written record of any such undertaking at any time in the city of East Liverpool. That would include that there are no newspaper stories of any such massive undertakings either. In all the various street digging to lay sewer piping. water and gas lines, laying of trolley tracks, repairing of said sewer pipes, water and gas lines, removal of trolley tracks, etc., not once has any evidence been found of tunnels. 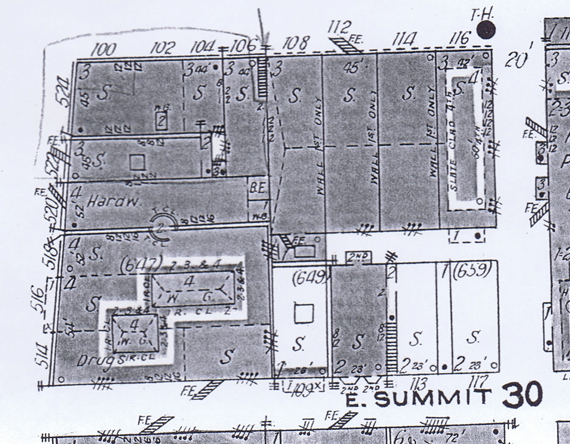 Bob Disch, Public Utilities Director stated that there have been numerous diggings to repair water lines over the years along the 100 block of East 4th Street and not once was there any evidence found indicating there was ever a tunnel between the Travelers Hotel and the Ceramic Theater or where the Ceramic had been. Finally, Joan Witt (who knows ELO history as well or better then anyone) claims no knowledge of any such tunnels. Frank Dawson (whose recently published book relates ELO history though his eyes and the eyes of many long time residents of ELO) stated that tunnels between buildings no, a few adjoining basements, yes. 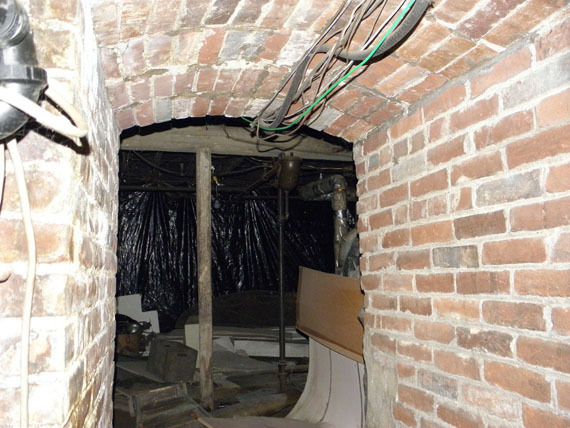 Thus it has to be said that the idea that are tunnels beneath the streets of downtown East Liverpool that connected various buildings is a myth unless some sort of solid physical evidence comes along in the future to show otherwise.